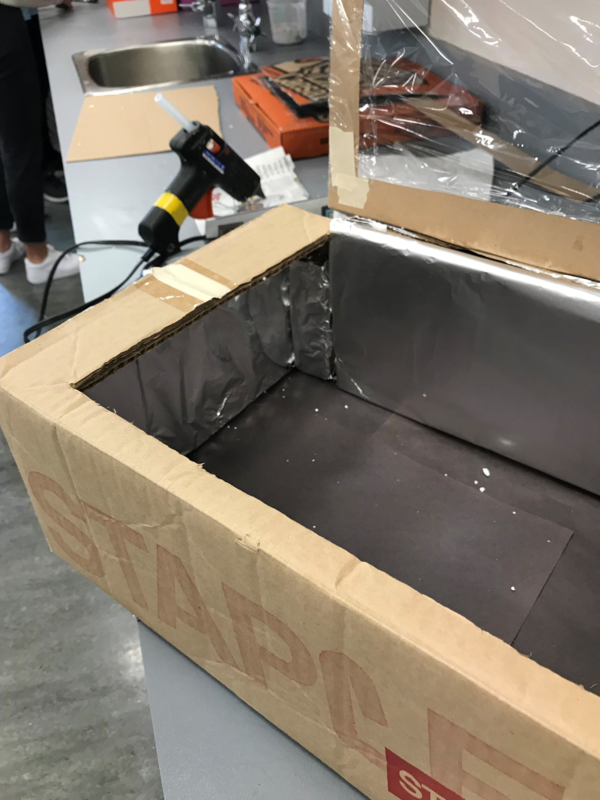 To insulate wrap Styrofoam in aluminum and then place around the inside of the box. Use a ruler to prop up the flap to collect sunlight and heat. 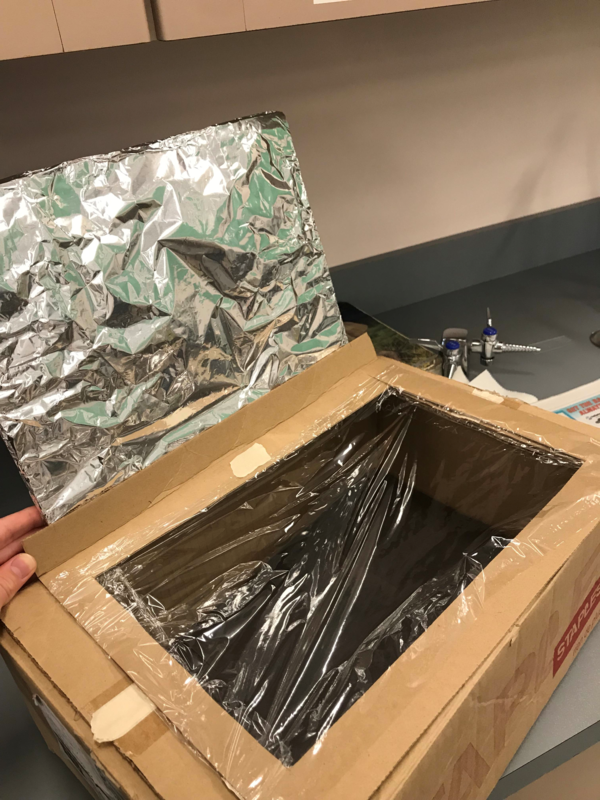 Box cooker: They are a box with an air tight wrap around it, while having a clear plastic wrap on the top allowing heat to come through but not leave, heating up the box to high temperatures. Pro: Traps heat inside well, easy to make, can reach 150 degree Celsius, air tight and sealed well, not having to readjust. Con: Cannot reach higher than around 150 degrees Celsius. Panel cooker: Similar to the box cooker but has three sides to it directing the heat towards the food inside the box. Pro: easy to make, better for moisture foods, does not require alignment, difficult to burn or over cook. Parabolic Cookers: They are shaped like satellite dishes with a pot centralized I the middle of the dish and reflective surfaces on the satellite dishes. This allows for the sun rays to hit the satellite and reflect the sun rays onto the food. Pro: able to cook higher temperature foods, can reach higher temperatures than other cookers, cooking quickly. We are choosing the Solar Box Oven because it can reach high temperatures and trap heat well. 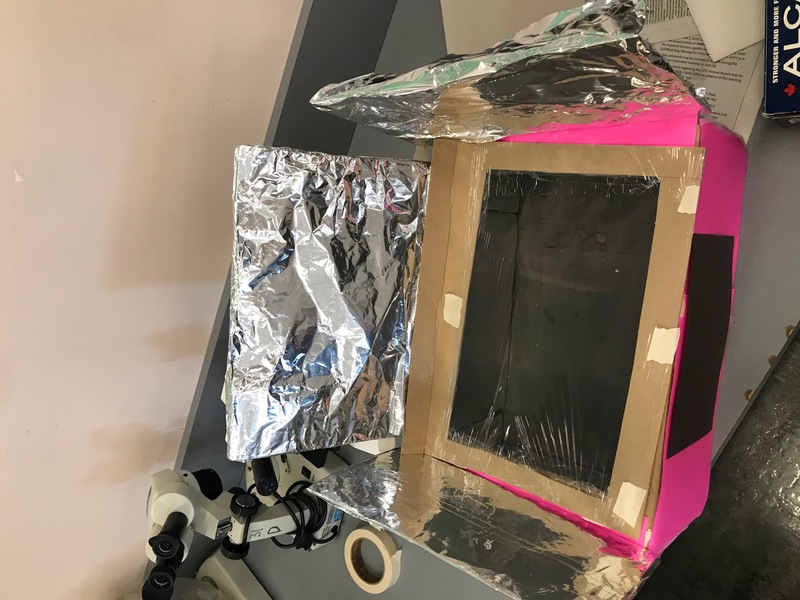 In this case with the solar oven the type of thermal energy is radiation. 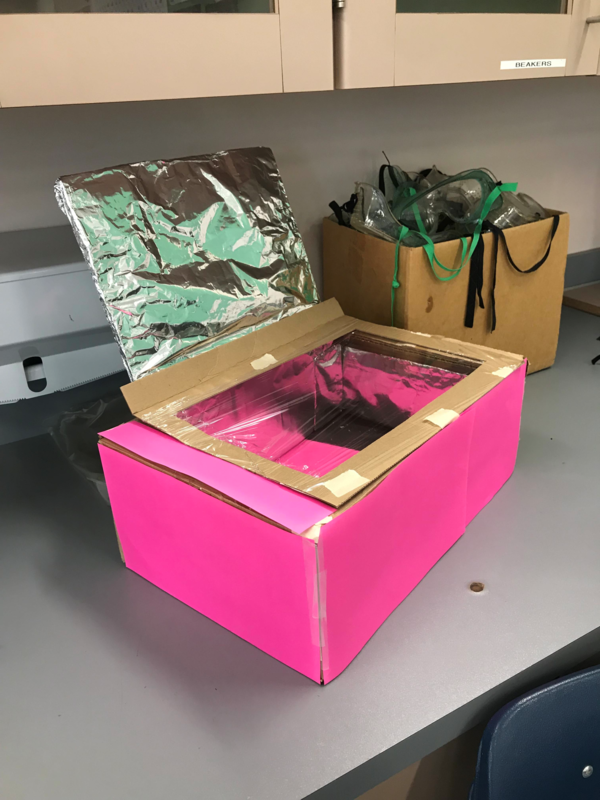 The suns UV lights travel through space to earth and hits the solar oven. 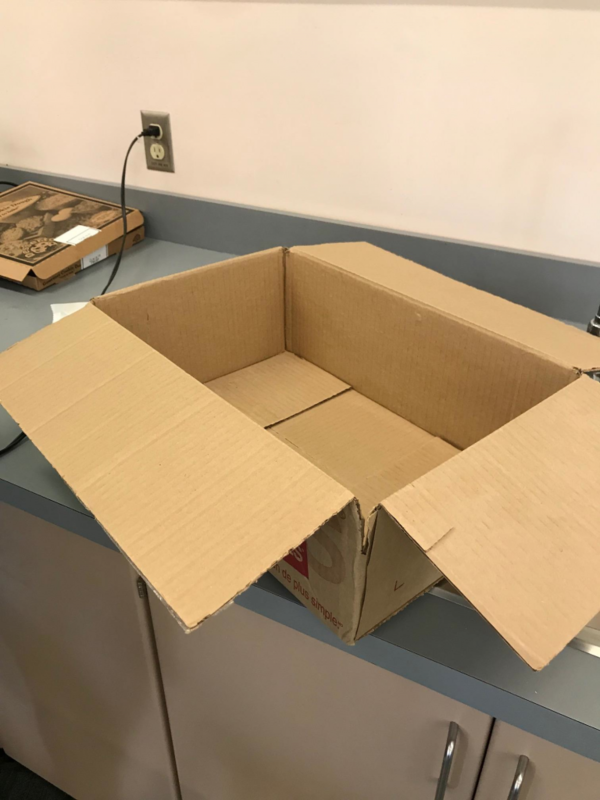 The suns rays travel in waves instead of direct contact like other types of heat transfer and does not need any form of contact to heat up the box. The waves can travel through the clear plastic but cannot escape. 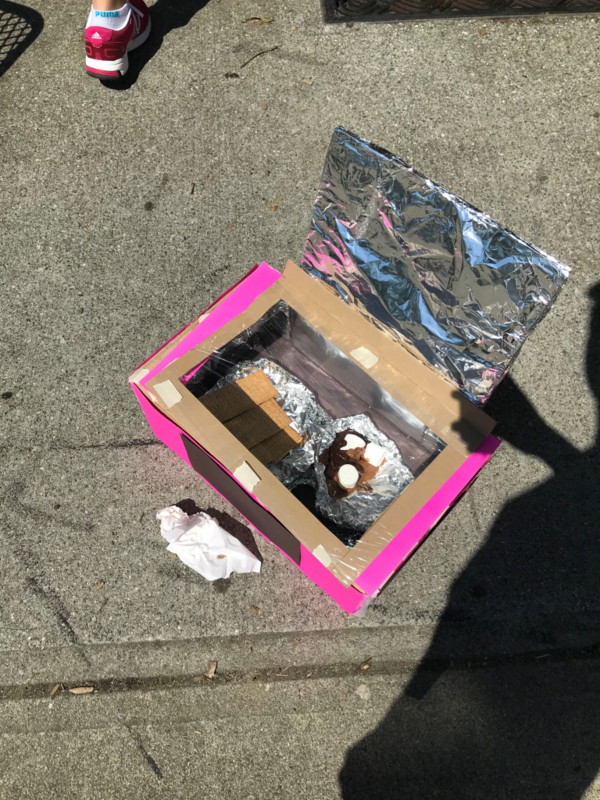 Then a picture of the food on an aluminum plate with the sun hitting the plastic wrap trapping the heat inside to cook the marshmallows, crackers, and chocolate. We had three trials each of the same food, marshmallow, chocolate, and a gram cracker, the first took 15 minutes, second took 20 minutes, and the third 25 minutes. The second trial was tasted more crisp but uncooked on the inside. The third trial that lasted 25 minutes the marshmallows and cracker were both crispy and very hot, the chocolate melted and turned to a liquid. We redesigned the oven to have more panels to reflect the heat and sun lights rays into the box. This improves the heat and temperature of the box because it covers more of the heat possible exit points. Also the main reason because it reflects and directs the heat into the box cooking the food from more sides and in a hotter oven.